Aerolite the most advanced roof insulation available. With the growth of insulation worldwide as a result of Global Warming. With Aerolite advanced TEL fiberizing technology which improves quality and performance. Manufacturing in compliance with ISO 6001 Quality Management system. The correct insulation improves indoor temperature 4 to 8 degrees. Homeowners will Recover the cost of Aerolite in three years on energy saving. You are eliminating the need for heating and cooling in many cases. Is your home hot in summer? Is your home cold in winter? Are you affected by noisy neighbors? Do you want to save money on electricity? If your answer to any of the above is yes – You Need Insulation – We can help. Specified for Hospitals and Schools. Aerolite is Lightweight, environmentally friendly and non-combustible. Of course, there are many benefits to having Aerolite fitted in the roof. Soundproofing and acoustic benefits are the best in class. Reduce heat flow into the home as much as 90%. As a result cost of home insulation can be recovered in 2-3 years. In winter our homes are cold it seems that nothing we do can stop the biting cold. Aerolite Thermal Insulation reduces heat loss through the roof by up to 90%. They are therefore improving indoor temperature in winter 4-8 degrees. Furthermore, the insulation reduces condensation in the home. Once again a more stable environment is a healthier environment. As a result, the cost of Aerolite Insulation will be recovered in as little as three years. Acting as a barrier between the home and the roof space Aerolite reduces heat loss and gain by 87%. Additionally, Aerolite reduces the effect of noise pollution. In summer Aerolite will improve indoor temperature 4 to 8 degrees. Homeowners reduce the need for heating and cooling. It is resulting in energy saving by reducing the need for cooling. As a result, Aerolite will improve indoor temperature of 4 – 8 degrees in summer. We are thereby reducing the need for heating and cooling. As a result, Aerolite will save energy by reducing the need for cooling. In winter the warm air in the home from cooking or heating is rapidly lost via the ceiling into the roof space. Once again Aerolite reduces heat loss as much as 87%. It is resulting in a warmer home in winter. Aerolite is a glass wool insulation manufactured to the highest international standards. Accordingly, Aerolite is produced with the latest TEL fiberizing technology. They are improving Aerolite quality and performance with the new technology. We are making it very easy for installers to cut and install the Aerolite Insulation in your home. As this thermal insulation is non-combustible, it has the highest fire rating classified as A/1. Meaning the insulation material will not combust, melt or smoke. Will Not Burn. 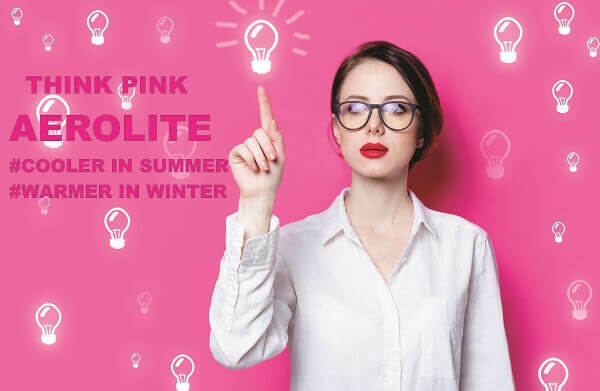 Popularly known as Think Pink (as a result of its pink color), Aerolite has been installed for 90 years. As a result, the insulation has helped to promote energy efficiency among homeowners by eliminating the need for running heaters and AC machines all day and night to keep the interior of the house warm (winter) and cooler (summer). The thickness of the insulating material as well as density. Take note compressing the insulation will reduce the R-value to the compressed value. When it comes to thermal insulation – the wonder acoustic Ceiling Insulation material – this value measures the ability of the insulation material to resist the flow of heat. For better performance, it’s highly advisable to select insulation with a higher R-value. As a result, you and your family will enjoy the following benefits: Improves your indoor experience by absorbing noise from inside and outside your home. Higher R-value saves more on high energy costs. Therefore a more relaxed home in summer and a warmer house in winter. Insulation enhances the level of comfort in your home. Increases the value of your home which is a plus when it comes a time to sell. The required R-value 3.70 for the Western Cape is achieved with the 135mm Aerolite. Aerolite R-value exceeds the requirements with an installed R-value 3.78. Did you know? Aerolite is also one of the best soundproofing materials one can buy! 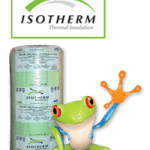 Not only is the insulation one of the leading and most advanced roof and ceiling insulation product, when you buy direct it is the cheapest! Yes, buy all insulation products direct from Aerolite, South Africa’s foremost insulation supplier and installer and save. You can also have the insulation installed by us with guaranteed levels of quality. Save time, effort and money! Contact us today for the best price and service. In many cases, the roof is filled with loads of boxes, etc. Downlights can reach temperatures of 270 degrees to 350 degrees. In many roofs, rats have set up camp, and the homeowners have no idea. When we vacuum roof spaces, we very often find the little critters nesting with their little loved ones. Never fit cones around the downlights as this can cause the wires to burn back to the DB box. Ensure the roof space is cleared of anything that is potentially flammable. Remembering that these items can blow onto a downlight or a transformer and catch alight. Importantly only install insulation with an AA 1/1 fire rating. In homes with excessive dust, we offer a roof vacuum service. Insulation must not be installed above the electrical wiring. Traditional insulation materials have been known to be less efficient when it comes to reducing heat or retaining heat in the home. Also, they act as a source of food for rodents and provide the perfect material for the whiskered intruders to use when making their nests. The presence of the whiskered intruders in your ceiling poses a health hazard to your family. Not only will your family be prone to infections but the infections will escalate to disease. Unlike traditional insulating materials, Glass-wool stops the whiskered intruders in their tracks. It can achieve this by providing a poor breeding environment for the critters. Besides, the use of glass wool together with the Thermosetting resin is not a good source of food for them. Glass-wool insulation also does not promote or allow the breeding of bacteria, fungi or mold. The benefits of having your Ceiling Insulation Installed by Roof Insulation Cape means you benefit from years of experience. All our Aerolite Insulation Installers are well trained and undergo continues training. Installing Roofing Insulation seems simple. Get in the roof space and roll the insulation out. In fact, Insulation or Ceiling Insulation installed incorrectly is an absolute waste of money. The Thermal Insulation must be fitted directly on the ceiling between the main beams. Making sure that there are no gaps, seal of the entire ceiling space. In most cases, we will have four Insulation Installers in the roof space. In fact, each Insulation Installer is accountable for the installation they do. We have a system where each installer will check each other at the end of the installation. Then the supervisor with the team will have a final inspection. Installing Roof Insulation Products is our business, and we take it very seriously. For the best quality, Aerolite Installation calls Roof Insulation Cape Town. 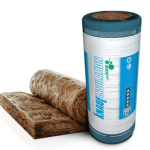 The roof insulation flagship product is undoubtedly the 135mm Aerolite Insulation. Especially because the 135mm Aerolite is regarded as one as the safest insulation products for roofs. Additionally Aerolite not only improves indoor temperature in summer and winter. Added benefits include reduced noise pollution and energy saving. In fact, Aerolite has the highest R-value 3.38 with an installed R-value 3.78. Roll dimensions 5000mm x 1200mm @ 6M2 per roll. A recent survey states that homes correctly insulated will recover the cost of insulation in under three years on heating and cooling savings alone. 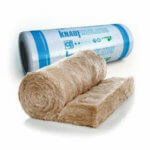 Regarded by many as one of the best insulation products for roofs. The Think Pink has one of the best R-values on the market. Added to this is the excellent Fire rating. Aerolite Roof Insulation has a Class A/1 fire rating. From a safety point of view, the fire rating, as well as the R-value, are game changers. Added to this are the soundproofing and acoustic benefits of the Think Pink. Aerolite Insulation Cape Town has many years of experience in the domestic manufacturing as well as industrial insulation products is what separates ISOVER from all other insulation products. In fact, Isover has been manufacturing building components for nearly 200 years and are one of the biggest manufacturers of insulation products on the planet. In fact, by saving energy in our homes, we are helping to conserve energy and reduce our carbon footprint on the environment. Installing SANS compliant Roof Insulation is compulsory as of January 2013. All new homes must have Ceiling Insulation achieving a specific R-value for the region. Existing homes are not affected by this legislation at this point. As we push our environment to the limit energy and water are becoming very scarce and very expensive. Installing Insulation in your Roof will reduce the need for costly heating and cooling. In most first world countries installing Ceiling Insulation has been compulsory for years. In fact, all industrial food plants and oil refineries are well insulated. Insulating Boilers and Furnaces in industrial plants with high-density Rock Wool insulation. Without this insulation, the product prices would be more than triple. Firstly we must just mention the World Health Organization gives Aerolite Insulation a safety rating: 111. As a result the insulation is as safe if not safer than many pickled vegetables or even coffee. Secondly there are many health benefits to having quality insulation installed in the roof space. So how will there be a health benefit in the home with insulation? As we know Aerolite acts as a barrier between the freezing cold in winter and the extremely hot summer days. Installing Aerolite improves indoor temperature 4 – 8 degrees in summer and winter. As a result of the more even temperature the average cold or flue is kept at bay. When it is freezing cold out. We most certainly don’t go out in the cold under dressed as we end up in the doctors rooms sooner rather than later. The same applies to your home. Keeping a more moderate even temperature reduces the potential for allergies and flues and colds. As mentioned earlier on this page Roof Insulation Installed incorrectly is wasted money. Installing the insulation directly on the ceiling space between the main beams is essential. In fact, all Roof Insulation must be fitted directly on the ceiling between main beams. The entire roof space must be covered. Do not install the Insulation following the roof pitch. In fact, installing insulation following the roof pitch will give a nice cool roof space but almost no benefit in the home. However, this does not apply to what is referred to as a flat roof. Installing roll form insulation in your ceiling space makes sense as the insulation covers the entire roof. The main reason why we recommend roll form insulation is that this will not get affected by the wind. Roll form insulation is packed tightly between the beams to seal off correctly. Blown-in loose fiber or cellulose will be affected by winds. In many homes where we remove these insulation types, we find the insulation has moved significantly. In fact, this leaves your home compromised with regards the insulation value. 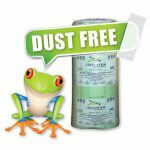 Loose paper or cellulose insulation is difficult to install the correct thickness in the roof space. The reason for this is we have to rely on the eye of the installer blowing the insulation. This, as we know, can’t be an exact science. Roll form Insulation is a specific thickness and density, so you know what you get for your money. The Thermal insulation products designed for optimum Thermal Insulation benefit. Installing Thermal Insulation without great thermal Insulation properties is a waste of money. All Thermal Insulation products are rated on R-value. In fact the higher the R-value, the better the insulation properties. In fact the higher the R-value, the better the Think Pink Aerolite. Think Pink Thermal Insulation is available in thicknesses from 50mm to 135mm. The roll Price of Aerolite varies as there are 5 different thicknesses. All rolls are 1200mm wide and roll width vary from 5000mm to 10000mm per roll. The Aerolite M2 price varies from R 20.00 – R60.00 M2 depending on the thickness. 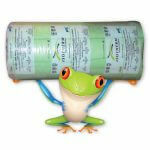 The Aerolite Roll prices vary from R 236 to R 365 per roll. 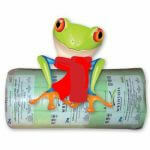 All Aerolite roll prices are compression packed to reduce load space. Aerolite shelf life is great and the lifespan of installed Aerolite Insulation is 30 to 50 years. On a cold day or night just before you step out the door, what is the one thing that assures you of warmth and comfort? You are right, a coat. Winter jackets manufactured from wool, gabardine or cashmere. Inside, they are lined with polyester or other materials which help to keep heat close to the body. Just like you need a coat on a cold day or night, your home also needs to be enveloped with insulating materials to keep the cold away and retain heat within. Insulation has been around since the per-historic people built shelters or sought natural refuge in caves to protect themselves from the elements. Today, you can create a barrier between the harsh weather outside and the delicate environment in your home with aerolite insulation. As the perfect ceiling insulation with acoustic properties, it will protect you and your family from extreme temperatures plus keeping your home warm and cozy. Want to enjoy tremendous energy savings for the next 50 years? 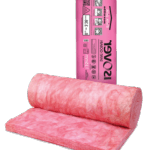 Think Pink thermal insulation is the right solution for you.